This winter’s Cellar Circle selections include 4 hearty reds that promise to take the chill off the season. Your Platinum case will include 4 bottles each of the 2013 Andrew Januik Horse Heaven Hills Lady Hawk Cabernet Sauvignon and 2013 Novelty Hill Stillwater Creek Vineyard Merlot. In addition, look for 2 bottles each of the extremely limited 2013 Januik Champoux Vineyard Malbec and the 2013 Januik Ciel du Cheval Vineyard Cabernet Sauvignon. Pick-Up & Shipping Info: Wine will be available for pick-up at the winery beginning Saturday, January 16th. If your wine is shipped and you live in WA, OR, CA, CO, NV, AZ, HI, AK, or ID, it will leave the winery on Monday, January 18th. Please remember that an adult 21 years of age or older must be available to sign for the wine. Due to winter conditions in the Midwest and Northeast, customers in all other states will receive this quarter's shipment with their spring release in April. To arrange for an alternate delivery shipping date or to update your credit card or address, please contact Laura Emil M-F at 425-481-5502, x105. 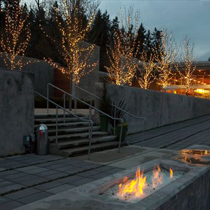 Join us as we gather at the winery from 6pm-8:30pm on Thursday, January 21st to taste this quarter's new releases, visit with fellow members and pick up your winter wine selection. An RSVP is required by clicking HERE. Two tickets per membership. Shuttle service from the warehouse lot just north of the winery will be provided by Butler Valet. 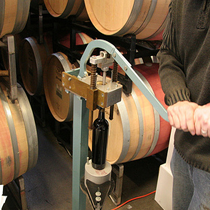 Blend your own wine at this popular annual seminar, scheduled for Sunday, Feb. 21st. Pricing and registration information will be announced in early February. This is your chance to create your own bottle of wine with the help of our winemaking team using select barrels from the 2014 vintage. Space is limited, so be on the lookout for an email with sign-up details coming soon.